Health Care and the Common Good is a timely study on an important issue that affects every American. 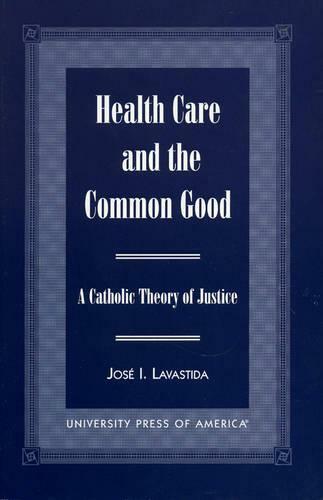 In this book, JosZ Lavastida examines the notions of common good and distributive justice as they relate to the problem of access to health care in the U.S. After providing a historical survey of health care that is critical for fully understanding the current state of affairs, Lavastida provides a thorough analysis of the theories and principles that influence the delivery of health care in the U.S. He examines the problems and proposals for reform and develops a Catholic theory of justice that emphasizes a societal obligation to provide equitable health care for all. Finally, he offers several concrete proposals for promoting just access to health care. Comprehensive in scope and passionate in nature, Lavastida's study is an indispensable source for those interested in health care reform and social justice.